In business, as well as in education, measurement and data are critical to driving improvement. To help assess how Colorado’s students are performing, how they have grown over the year, and how our schools can serve them better, it is once again time for schools statewide to test students from elementary through high school. With all of the information (and misinformation) surrounding statewide annual assessments, we’ve summarized a few facts you should know this testing season. 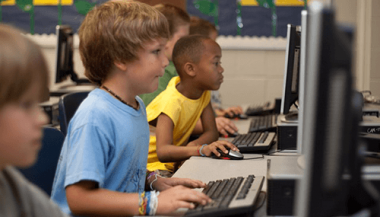 Why do Colorado students take annual assessments? 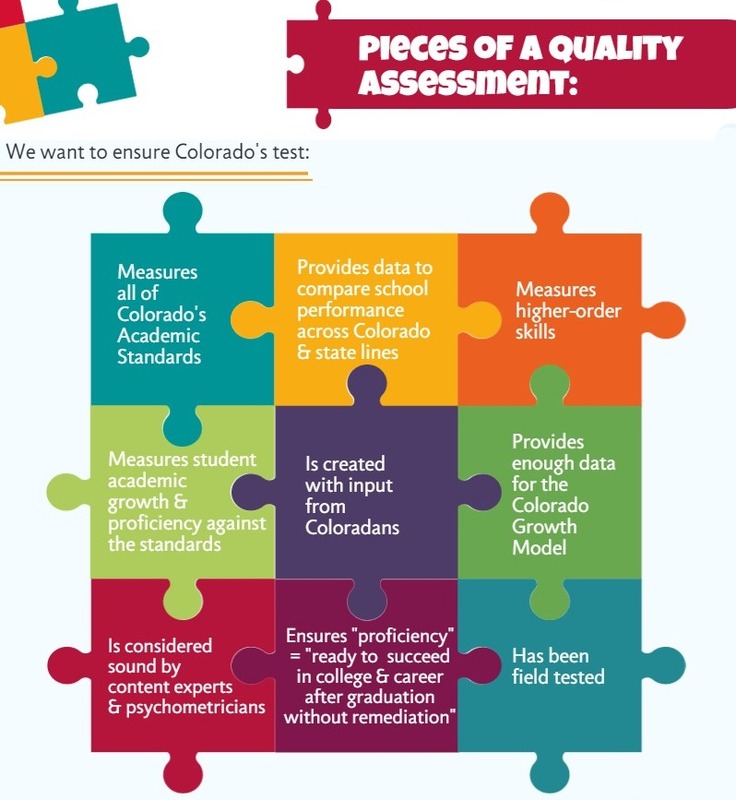 Statewide assessments are tests given to all Colorado public school students at the end of the school year to provide a snapshot of student performance in various subject areas. Statewide assessments are a type of summative test aligned to the knowledge and skills students are expected to have learned by the end of each year. What is the CMAS test? 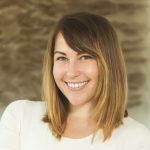 Rather than previous fill-in-the-bubble tests, CMAS was designed to assess higher-level skills such as critical thinking, writing, and problem-solving. As part of CMAS, all Colorado students in grades 3 through 9 currently participate in math and English language arts exams, which are developed by and administered through PARCC (Partnership for Assessment of Readiness for College and Careers). Colorado students and their peers in 10 other states and the District of Columbia take part in PARCC. This allows for greater comparison and comparability among participating states. What college entrance exams do Colorado students take? Colorado sophomores and juniors take the PSAT and the SAT college entrance exams. Colorado recently transitioned from the ACT to the SAT and PSAT as, according to the Colorado Department of Education, they are more aligned to Colorado’s academic standards. What’s happening with 9th grade testing in Colorado? While Colorado 9th graders will participate in CMAS during the 2016-17 school year, there is currently legislation in the General Assembly – HB-1181 – to transition 9th graders to a test that is aligned to 9th grade academic standards and the PSAT taken by 10th graders. The legislation is sponsored by House Education Committee Chair Rep. Petterson, Rep. Lundeen, Sen. Priola, and Sen. Todd. Do students spend too much time taking tests in Colorado? Ensuring that Colorado students partake in quality assessments does not have to come at the expense of learning. In fact, Colorado has been a national leader in reducing the amount of time students spend on statewide assessments. In 2015, the Colorado General Assembly passed HB-1323, which reduced testing time by 38 hours, or 27 percent. Additionally, HB-1323, eliminated all 12th grade assessments, among other important changes. Colorado Succeeds’ business coalition knows that what gets measured gets done. It is important to test our students annually to find where gaps in learning exist and where resources are needed most to drive improvement. Our coalition will continue to champion efforts to ensure that testing in Colorado is both effective and meaningful to families, districts, educators, and members of the community.